Six-part seminar series presented by an international expert on the new biomechanics of microimplant usage. The goal is to provide absolute anchorage using transitional devices for optimal orthodontic therapy, without worrying about patient compliance involved in other methods. Applications of this latest technology, as well as the limitations, are discussed. Each step of the SARDAC technique is explained fully and then demonstrated clinically in various locations. Specific topics covered include molar intrusion, uprighting, and distalization as well as corrective treatment of anterior open bites and management of asymmetric space cases in both extraction and non-extraction situations. 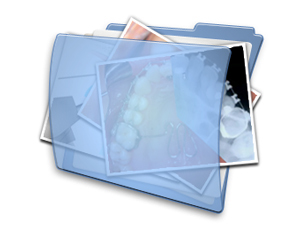 To understand both the applications and limitations of microimplant usage in site-specific orthodontic treatment. To perform the SARDAC technique on varying patient cases, including each step of the procedure for improved success. To utilize microimplants in molar instrusion, uprighting, and distalization cases, providing absolute anchorage for optimal orthodontic therapy. To correct anterior open bite cases using microimplants, providing absolute anchorage for optimal orthodontic therapy. To manage asymmetric space cases using microimplants, providing absolute anchorage for optimal orthodontic therapy. Dr. Pablo Echarri discusses the technical application and benefits of the utilization of Micro-Implants, especially as they relate to providing absolute anchorage in orthodontic therapy. In part 2 of this series, Dr. Pablo Echarri discusses, in great detail, the surgical and technical placement of Micro-Implants in various oral locations. Dr. Echarri also outlines specific surgical pitfalls that must be avoided to ensure success in providing an absolute anchorage system for optimal orthodontic therapy. In Part 3 of this series, Dr. Pablo Echarri discusses, in great detail, the surgical and technical placement of Micro-Implants for the purpose of molar intrusion. Dr. Echarri also outlines specific surgical pitfalls that must be avoided to ensure success in providing an absolute anchorage system for optimal orthodontic therapy for this application.